My church likes to mix things up every now and then. Yesterday, we skipped the traditional sermon and instead spent time in reflection and prayer. There were “stations” set up around the main room of the church building, and the pastor encouraged everyone to wander through the different stations and to seriously listen for God’s voice. A whiteboard in one corner invited people to write down what they thanked God for in 2012. Another whiteboard asked what people may have failed at in the past but will try again in 2013. On one wall, people could put up sticky notes with the names of people who need prayer. The opposite wall had a few prayers, including the Lord’s Prayer, to read if people wanted more inspiration. A wall with chalkboard paint let others write out their dreams and goals for 2013. Then, hidden behind the main stage, a couple more stations offered communion bread and juice as well as candles to light if people felt God calling them to something for the new year. Most of all, the pastor wanted us to take advantage of the time and open space by asking God what he wanted us to do in 2013. What do you want from me this year? What are your plans, God? Please tell me. Let me hear and recognize your voice. Who do you want me to be? Where do you want me to go? Please speak and give me the ears to listen. The truth is I still feel unsettled and restless despite my fortunate circumstances. God has provided for me more than I deserve. Yet, my life feels like it has reached a standstill. I was chugging along, growing and making changes, until a landslide blocked the rails ahead, and I can’t see around it. I feel stagnant. I’m bugged by this idea that I’m not doing enough, even though I know there’s no such thing as “enough.” I know I’m not doing as much as God deserves for all he’s done for me and just for who he is, but there are good reasons why the Bible says working for righteousness is ridiculous. Doing enough doesn’t exist. I know God deserves more than everything I could give him, even if I could feasibly dedicate every moment of my life to his service. But shouldn’t I give him as much as I can? Even with that more realistic goal, I’m still nowhere close. I want to do more for God, but I don’t know where to start or where to go. God hasn’t given me much guidance with this, either. I keep asking him for directions, but he hasn’t called me. I’ve lost my guide in a foreign country where I don’t speak the language. The best that I can make out is that I’m supposed to wait. Waiting is almost harder than working. On my company’s blog, the first post of our newest employee struck me where I thought I was safe. The blogger, Andrew Fouché, wrote on patience and God’s timing. He talked about how God gives us “seasons of patience” in which we may not see anything happening, but God is preparing us while we wait for his perfect plan to be revealed. For a long time, I’ve liked to consider patience as one part of the spiritual fruit that didn’t give me trouble. As I read the blog post, though, I realized that my patience really just extends to waiting in line, heavy traffic, or for someone to email me back. It seems easier to be patient with other humans than with the holy and eternal God. 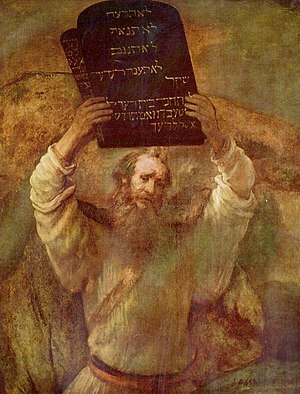 Did you know that Moses was 40 years old when he fled Egypt for the first time? The Prince of Egypt got it wrong when Moses ran into the desert as a young man with barely any facial hair. The real Moses then spent the next 40 years learning how to care for sheep. He married and had sons during his exile. Moses probably never expected to return to Egypt. But then he saw the burning bush and heard God’s voice tell him that Moses would deliver the nation of Israel from Egyptian slavery. Moses was 80 years old. When Moses finally traveled back to Egypt and announced his mission, God hardened the pharaoh’s heart so that it took 10 divine plagues on Egypt to free the Israelites. Fast forward through the Red Sea, Mount Sinai, and a whole nation traveling through the desert. God eventually brought his people to the land he promised to give them. The people disobeyed, though, and did not trust God, so he sent them back into the wilderness to wander for 40 years without a homeland. Moses survived through their wanderings, living to 120, which wasn’t as unusual as it is today. Just before Moses died, God took him up Mount Nebo to see the whole land he would give the Israelites. Moses saw the land, but he wasn’t allowed to enter into it. He died on its borders, and then God chose another man, Joshua, to finish the work and bring the people into their country. The life of Moses encourages me as I wait on God. As restless as I feel, I know God will use me in his own timing, and he will have me ready for whenever that is. God has work for me, and he has a plan. I can’t see ahead to what he has in store for 2013, but I can trust him and practice patience in the meantime. Please speak and give me the ears to listen. My two favorite Christmas movies are Miracle on 34th Street (1994) and The Polar Express (2004). Both movies are about young kids who don’t believe in Santa Clause. In Miracle, little Susan’s mother wanted her to know only the truth and so didn’t tell her about fairy tales such as Santa. In Polar Express, a boy grows out of believing in Santa. Maybe I like these stories because I can relate to the children. My parents chose to not teach me Santa exists. Instead, they told me about Jesus and how Christmas celebrates his birth. When I asked them why other kids believed in Santa, they explained that Santa is just a children’s story but not a real person. Rather than being disappointed, I felt as if I held special knowledge, a well-kept secret, that other children were not privileged enough to know. I remember challenging a classmate in first grade to prove Santa’s existence. I told him that he should stay awake on Christmas Eve to see if Santa brought his presents. I never heard after Christmas Break whether his parents had let him stay up or not. The presents under our Christmas tree always had tags saying, “From: Mom and Dad.” My siblings and I would thank our parents after opening each gift, giving our gratitude to whom it was due. Usually, the tree had one or two gifts addressed to the family from Jesus. One year, the gift was a set of Veggie Tales movies. Other years, we received cards and board games to play as a family. We all knew even these special presents for the family were from Mom and Dad, too, but we enjoyed the gift together as a reminder that Jesus loved all of us. My parents would remind my siblings and I each Christmas that the holiday was all about Jesus and his gift to us when he was born into the world. I’m at my childhood home again this Christmas with my whole family, even though all of us children have gone our separate ways to live on our own. Coming back here, I think about how Christmas is a time for me to see my family and enjoy time together. This is a time for peace, rest, and love. And all of that comes through our mutual love of Jesus, resting in peace because he is God who became human to save us from pain, distress, and separation. He came because he loves us, and for that, we love him in return. I think it’s funny how almost every Christmas movie asks the meaning of Christmas. Is it really that much of a mystery? Does Christmas still puzzle people? These Christmas movies make it clear that Christmas isn’t about material gifts and receiving everything on your list. They will tell you that Christmas is about family, home, generosity, love, and faith. In Miracle and Polar Express, the young girl and boy learn how to believe. They learn faith. Not without evidence, mind you. They believe in Santa because they have reasons to believe. And so do I to believe in Jesus. Is the suspense killing you? I know I promised to update in a week after my last post, but hey, 26,055 words really takes it out of a girl. After a writing blitz during the last week of November, in which I locked myself in my apartment after work each day and ignored my friends, the book crossed 50,000 words on the evening of November 30th. I had almost four hours to spare before the midnight cutoff. With a relieved sigh, I submitted the completed manuscript to the NaNoWriMo website, confirming my winner status. Then I emerged from my apartment and went to a friend’s Harry Potter party to celebrate. The feeling of accomplishment floated me along for the next week. My self-esteem enjoyed the boost after all the deriding remarks I kept feeding it up until I finished my book. At the same time, I felt perfectly content to not write again for a good long while. Even two weeks after finishing, I still look forward to a break from serious, lengthy writing until at least January. I above all don’t want to work on my book. We spent too much intimate time alone, so we’re taking a break. I need the distance to clear my head before I jump into the waist-deep editing that it desperately needs. Unfortunately, my eager and supporting friends and family now want to read the book. Too many have already asked, “So when do we get to read it?” Thank you for the encouragement, but you don’t want to see a fresh NaNoWriMo book. I don’t even want to read it, and I know what it’s about. No, this one needs severe cutting and stitching before it will be ready for eyes. Secondhand Lions is one of my favorite movies. With three exceptional actors, Robert Duvall, Haley Joel Osment, and Michael Cain, it was practically a guaranteed winner. I found the DVD on sale for five bucks at Walmart and couldn’t pass it up. The basic plot is a boy, Walter, gets dropped off at the house of his great-uncles, whom he has never met, to stay for the summer. His single mother assures him she will be back in a couple weeks or a month at the most. She encourages him to try, in the meantime, to find the rumored treasure the great-uncles have stashed away. Walter and his uncles act awkward around each other at first, but they start to bond once Uncle Garth begins to tell Walter stories of war, sword fights, an evil sheik, a princess, and a treasure of gold. In a gripping scene between Walter and his Uncle Hub, who would rather fight than tell stories, the boy asks if his uncle’s stories are true. Growing up with a mother who only lies to him, he desperately wants to believe the fantastic stories of his uncles but doesn’t know if he can. That isn’t an opinion you will hear often. It almost sounds new age and like believing in subjective truth, as if there is no absolute reality. But I think Uncle Hub wasn’t trying to teach Walter to believe in whatever he wanted or what made him happiest. He wasn’t denying that truth is important. Rather, I take it that he meant there are certain things that we have to hold onto even when life seems to prove it wrong. In the face of opposition and in the middle of battle, we should believe particular principles to carry us through. If we give them up, we will lose everything. When a soldier forgoes hope for victory, he will lose his strength and courage to keep fighting. In a way, he contributes to his own failure by losing faith. So our beliefs affect our lives and may even save them. It matters what we choose to believe. Some people call religion and spiritual faith a crutch for people who can’t accept reality. I also heard a Christian respond, though I can’t remember who, that Christianity wasn’t just a crutch; it was a full-body stretcher. This Christian fully acknowledged that his faith not only gave him something to lean on, but it completely supported him when he had no strength of his own. Is that an ignorance and denial of truth? Of course. That is, if the faith is based on false beliefs. But trustworthy faith deserves full reliance. If the faith is in truth, then why shouldn’t you use the stretcher? Refusing that support and confidence only reveals cynicism and doubt, not loyalty to objectivity. Let’s take Christian faith, for example. If there’s nothing reliable in believing the gospel of Jesus Christ, then people are just accepting it to make themselves feel better. It gives them some false hope that makes life seem more meaningful, as if life has purpose. It also eases their minds about death if they can believe that they will go to heaven for an eternity of rest and joy. If Christianity is a lie, then Christians use it as a crutch to be happier, but it simply deludes them so they can escape reality. On the other hand, suppose there really is something to all this hype about the Bible and Jesus. If salvation and eternal life come only through believing in Jesus, believing God became a man and died to save the world, believing his sacrifice frees you from the punishment for sin, then your only hope is to throw yourself fully into trusting the truth of Christian faith. If you hold back, you’ll be lost. Choosing to not let faith in Jesus carry you will condemn you to eternal death, instead, which we call hell. Yes, faith takes a leap, but it’s a reasonable one if the object of your faith is truth. You can watch the scene I discuss from Secondhand Lions here. Please leave constructive feedback in the comments if you have some to spare.